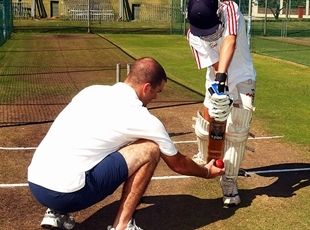 Pre-season training commences Monday 18th March at Marrara Cricket Ground, Lord Tavernier's facility. There will be three pre-season sessions (March 18th, 25th and April 1st) held at Marrara before moving to the regular season training schedule below. Coaches & Managers will be announced after sign on day. All coaches will be expected to comply with Working with Children Ochre Card requirements. In order for any teams to be able to participate, each team will need a manager, games day coach and a number of people to assist with coaching during the training days. Without a game day coach and manager we will not be able to field a team. Managers will be the point of contact for all parents and will communicate any messages from the club or the coaches. Junior players will be provided with an NCC playing shirt and a club cap as part of their fees. NCC strongly encourages all players to bring their club cap or a broad brimmed white hat to all games. Players will need to supply their own white long pants. White shorts are acceptable. Protective gear & bats are provided although we recommend players have their own helmets & boxes. The club is happy to accept any pre-loved gear or clothing you or your children may have grown out of. The below fees structure has been set for 2019. This covers the season from April to September and includes Association fees, player insurance, training equipment, balls and other expenses associated with managing the club. Sports Vouchers accepted for all ages. This one off fee covers the season from April to September and includes Association fees, player insurance, training equipment, balls, club shirt and hat and other expenses associated with managing the club. There are no other fees charged throughout the season. All fees should be paid before the first game. Reference: Childs initial and last name. (eg J.Smith DIVx). We are looking to appoint qualified coaches to plan and run the training sessions during the week. 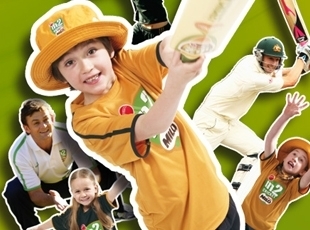 The club will pay for interested parents to achieve Cricket Australia Level 1 coaching accreditation. We are also looking for parents to help organise the kids on training days. Thank you to all our fantastic parents inside our club who support all of our kids. We have many coaches, managers & parent helpers returning for 2019. If you can help in any way, however big or small, please let us know. Fundraising We quite often have different fundraising events which help keep our fees low. This could be selling sausages or drinks, quiz nights, mystery bus tours, wine and cheese nights, golf days and numerous other things. Please let us know if you are interested in helping or getting involved by indicating on the form or speaking to our committee. Many hands make light work and we have lots of fun!! Our main source of information is through the website at www.nightcliffcc.org.au Email contact is another important form of communication we use to inform players of what’s happening inside the club & to communicate with your coach. If there are other questions you may have please contact info@nightcliffcc.org.au, your coach once known or the junior coordinator. If you are involved in an organisation who may be able to help through sponsorship it would be warmly welcomed. Looking forward to a great year!